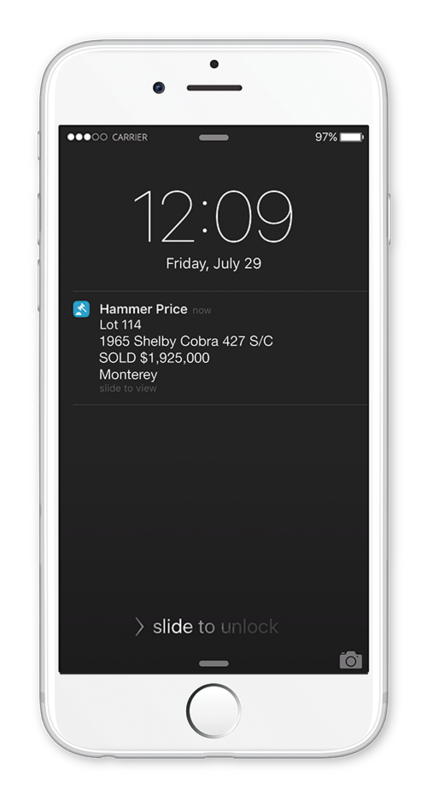 Hammer Price is the first and only way to follow multiple auctions in one streamlined format on your smartphone or tablet. Hammer Price is designed for your smartphone and tablet so everything you need is just a few taps away. 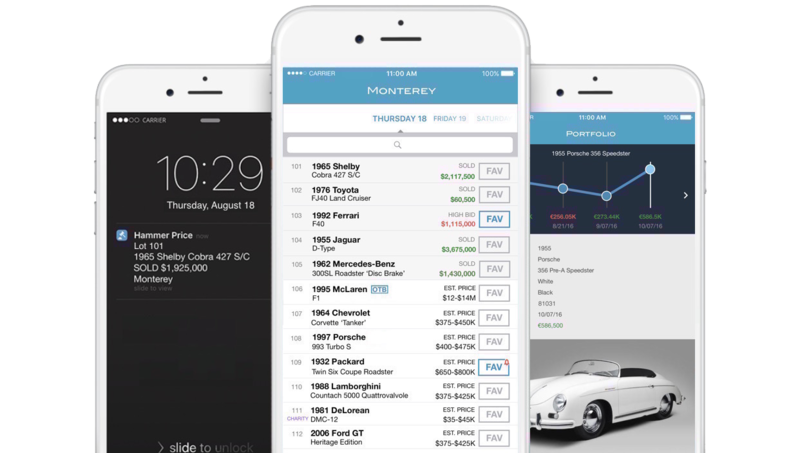 Keep tabs on multiple auctions at the same time and track results year-round. Reference past sales, preview upcoming auctions, and even get notifications when your favorite cars cross the block. Enter a car you’re interested in. Hammer Price searches every auction in our database and graphs the prices of those cars. Tap an individual result to see the details for that car. Don’t want to check the app every day? Opt for an email report to stay up-to-date. It’s a totally revolutionary way to look at collectible cars. Signing up for Hammer Price takes 60 seconds, and only a couple clicks. Then you can search by auction or by car to see what’s going on at all of the major sales around the world. You’ve read all the way to the bottom of the page. The only thing left to do is visit the App Store and download Hammer Price.